Android 8.0 Oreo's autofill API is here to save you from one of technology's biggest hassles: passwords. Google's API allows apps to act as autofill providers at the system level. So, instead of opening a password manager and copying your passwords, the app can simply authenticate you and fill in the information automatically. This feature requires some setup, but it's well worth your time. Autofill was somewhat possible in older versions of Android using the Accessibility service, which allows apps to input text and highlight fields. However, this process was slow and extremely buggy. Filling in passwords is not what it was designed to do. Google's Smart Lock came to Android in Nougat, and it worked a little better, but most developers didn't add support. So, the autofill API was devised to make password managers easier to use. Not all password manager apps work with this feature, but most of the big ones have announced support. 1Password, Dashlane, and LastPass have all added support for Oreo that you can try right now, but it's still technically in beta for LastPass. If you don't use a third-party password manager, you might still be able to use the autofill feature with Google's own autofill service from Chrome. Oreo's autofill features are disabled by default, and they're rather buried. To enable autofill, head into your main system settings and look in System > Language & input > Advanced > Autofill service. You can only have one active at a time, but "Autofill with Google" is built into the OS. Any other apps you've installed with support for autofill will also show up in this menu. 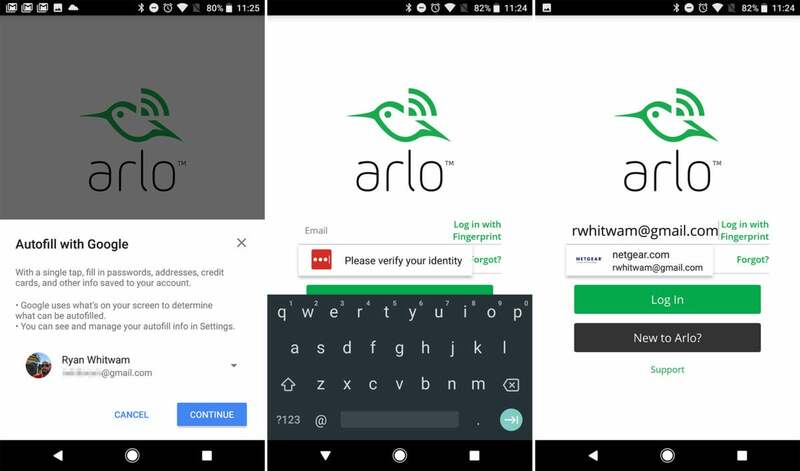 This is how you'd use Google and LastPass to log into the Arlo app. Google's option pulls in usernames and passwords from Chrome. That means you'll already have access to lots of account credentials in Android if you've been saving things to Chrome on your desktop. The first time you open an app with a native login field (not an embedded web frame), a window pops up asking you to confirm your Google account so logins can be found. A drop-down list of matching logins will let you pick among several accounts. If you choose a third-party app like LastPass, the authentication step is different. These apps are a bit more secure based on the early implementation. For example, LastPass has you confirm your identity with a fingerprint (if enabled in the app) or LastPass password before it will autofill in other apps. Like the stock Google offering, these apps have drop-down menus where you can choose from all matching accounts before filling the username and password. 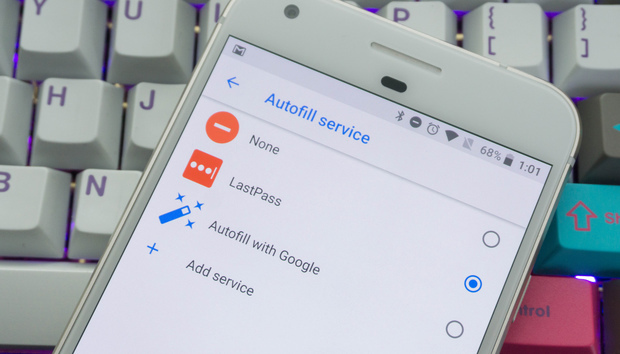 There's a bit of setup needed, but you'll never have to worry about awkwardly copying and pasting your long, complex passwords on Android again. If you don't have long, complex passwords, you can start using them with the knowledge you won't have to type them in by hand.